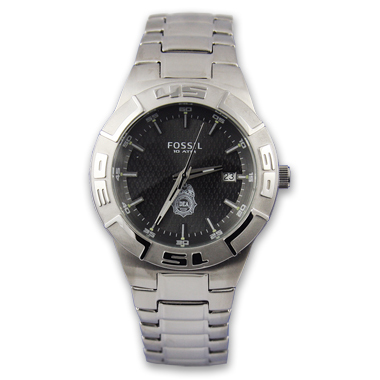 Fossil quality with a striking grey faceted face showcasing a finely detailed badge. Stainless steel case and bracelet band. Concave dial ring, 3-hand movement, Water resistant to 10 atm. Packaged in a gift tin with DEA seal on top.